Foreclosures are getting harder and harder to find, but I am here to help you in your search. 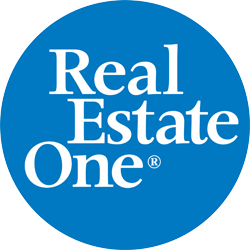 If you are in the market for a short sale, foreclosed or REO property, please contact me to get the latest list. Though we display the most recent foreclosures listed in our MLS&reg, not all properties make it online. They sell too quickly! To be in the know when it comes to foreclosures, you need a licensed real estate agent working for you on the inside. I’d love to help you keep track of the latest opportunities in Detroit. If you want to view properties today, please don’t wait for an email reply, call me at (248) 249-2522 for the fastest service. Listing courtesy of Coldwell Banker Hubbell BriarWood-Delta. Listing courtesy of Realty Executives Classic. Catch this fixer upper before its gone. lots of room for potential. call local agent today for more details. Listing courtesy of Liberty Real Estate Company LLC. Excellent oppurtunity in a great neighborhood. Oversized bungalow. 1st floor has den and bonus room. Listing courtesy of Market Value Prop Specialists. Listing courtesy of Century 21 Allstars. VACANT RESIDENTIAL LOT LOCATED CLOSE TO SCHOLS, SHOPPING, AND MAJOR FREEWAYS. Listing courtesy of ARG Realty. Three bedroom broadfront ranch with 2 car detached garage, some hardwood floors, spacious living/dining area, updated kitchen and bath. Listing courtesy of RE/MAX Properties, Inc. Listing courtesy of Century 21 Riverpointe. Listing courtesy of Century 21 Campbell Realty. Great oppurtunity! Large Lot and huge mechanics garage/shop. Located in the heart of Fraser. Home has newer roof..
BANK OWNED - INVESTMENT OPPORTUNITY- SOLD AS IS. BATVAI. All inspections, repairs, and certificates of occupancy are the responsibility of the buyer. Listing courtesy of Brighton Realty LLC. Nice vacant lot in the Evergreen Park Subdivision. Perfect for residential building or extra lot. Listing courtesy of Century 21 Elegant Homes. BANK OWNED - INVESTMENT OPPORTUNITY - SOLD AS IS. BATVAI. All inspections, repairs and certificates of occupancy are the responsibility of the buyer. Listing courtesy of EXIT Realty Home Partners. Listing courtesy of Preferred Realty Pros. priced to sell. close to resort but far enough away to embrace the nature. contact a local agent today for more details. Listing courtesy of McFarlane Group Real Estate LLC. This property is just enough to call home. With approximately 920 SF, 1 bath, detached garage and more! This serene setting completes the look. Make an offer today. cant beat this price if you are looking at square footage. contact a local agent today for more details. 3 bedroom, 1 bath home on 1 acre lot. Quiet country living, needs some TLC but very affordable. See agent remarks for submitting offers. Listing courtesy of McGuirk Realty Inc.
priced to sale under 20k. submit a bid today before its too late. Listing courtesy of Berkshire Hathaway HomeServices Tomie Raines. Listing courtesy of Millennium Prop & Mgt Co LLC. Listing courtesy of Carrington R E Serv US LLC. Listing courtesy of Re/Max Real Estate Professionals, Inc. Charlotte. moderate space. put on your must see list. contact a local agent today for more information. 3 bedroom,1 bath, hardwood floors, nice sized kitchen, full basement and attached garage. Great investment! Listing courtesy of RE/MAX Platinum-Hartland. Listing courtesy of Independent Broker Network LLC. 3 Bedroom ranch, large lot, unfinished basement, close to freeways and shopping centers. Listing courtesy of Jones Realty Brokerage LLC. Nice Detroit Westside brick Colonial home, Property is Bank owned and seller will not make any repairs. Property sold in as-is condition. Listing courtesy of The Signature Group Realty, LLC. Listing courtesy of Downriver Real Estate Group. Listing courtesy of Benjamin Management Group, Inc. Listing courtesy of Premier Realty Associates. Listing courtesy of KW Platinum Port Huron. Listing courtesy of Premier Property Services LLC. 2 FAMILY HOME - EACH UNIT HAS 2 BEDROOM AND 1 FULL BATH, FAMILY RM, DINING AREA, KITCHEN AND SEPARATE BASEMENT. CLOSE TO SHOPPING, FREEWAYS AND SCHOOLS. Listing courtesy of Gateway To Homes at Keller Williams. Listing courtesy of Century 21 Looking Glass. Great investment opportunity for this frame bungalow! Listing courtesy of Adams Realty Services. NICE CONDITION FIRST FLOOR CONDOMINIUM. 1 BEDROOM, 1 BATH, KITCHEN, LIVING ROOM, DINING ROOM, BASEMENT. Listing courtesy of Michigan Realty One. desired zip. TLC needed. come see today if you can make your own. contact a local agent today. 5% Buyer Premium & $1000 Web Fee charged to buyer at closing. priced to sell. Start your life in this wonderful home, schedule a visit now today. 5% Buyer Premium & $1000 Web Fee charged to buyer at closing. Listing courtesy of Great America Brokers LLC. Listing courtesy of Weichert Realtors Select 1.